A memorial service for Bob Edwards was held last weekend at Bourn Hall, near Cambridge, England. That is the Jacobean mansion house where he founded the world’s first in vitro clinic for fertility treatment (IVF) with Patrick Steptoe in 1980. Lying in its beautiful grounds, Patrick’s grave is often visited by grateful patients. On Saturday the ancient wooden front door swung open for Bob’s wife, five daughters, twelve grandchildren, and a troop of colleagues, friends, and admirers who came to give thanks for his life. He leaves a legacy with few parallels in science and reproductive health, and most of all he gave joy to parents of five million babies who owe their existence to his pioneering struggles for a medical revolution with Patrick and Bob’s assistant, Jean Purdy. We miss him terribly. It seems impossible that anyone endowed with that much vigor is gone. We imagine him turning up at any minute when the angels push him out after disturbing the peace upstairs. Well into his eighties, Bob was still full of boundless energy and infectious enthusiasm. After retiring from Cambridge University and Bourn Hall, he was busy lecturing and collecting honors and awards around the globe, and he founded several new biomedical journals which soon attracted the best research papers. But, finally, time caught up and frailty captured him. Bob needed lots of energy and a gritty Yorkshireness seasoned with humor for the hard journey to a controversial goal. The uproar that his research agenda caused between the 1960s and the 1980s is becoming a fading memory, and may even puzzle a younger generation for whom IVF is conventional treatment and knowing people who depended on it for building their family. But for those who remember the old times it’s hard to understand how he endured so much professional antagonism, even personal animosity, that tried to stop him in his tracks. Most people would have quit. He told us it was the appeals of childless couples and heart-rending stories that drove him on. A reactionary medical profession in those days had nothing much to offer for infertility and, too proud to admit defeat, often ignored the problem. No one could have guessed that the boy who grew up in a northern mill town would become their champion and one of Britain’s greatest scientists, any more than we expected a grocer’s daughter from Lincolnshire would become the first woman Prime Minister and the Iron Lady. Bob obtained his PhD in genetics and embryology at Edinburgh University in 1951 where he collaborated with Ruth Fowler, whom he later married. After short spells in the USA – at Caltech, Johns Hopkins, and Chapel Hill – he returned to London to take up contraception research, but it wasn’t long before he was studying his first love again – eggs and embryos. Ever boiling with ideas, he started to air dreams of launching IVF in medicine, but babies had only been born after IVF in rabbits and in no other species. He imagined how IVF could help women with blocked tubes and avoid children being born with cystic fibrosis, hemophilia and other inherited diseases. In the end, it had many more applications, but then almost everyone thought he was barmy. 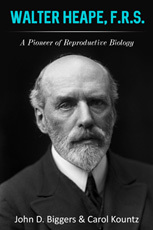 To be sure that he didn’t cause any trouble, a new director in London banned his work on human ovaries. He moved to Cambridge University to join Sir Alan Parkes, whom I remember as a crusty old school chap, but who had an eye on the future. Bob flourished there, staying the rest of his career and ascending the academic ladder to full professor. For human IVF he needed help from medical doctors as gatekeepers to patients, but they were keeping the “maverick” at arm’s length. In 1968, Bob met a gynecologist who not only welcomed collaboration but had developed a new technique, called laparoscopy, which he needed to collect eggs from patients’ ovaries. That man was Patrick Steptoe. He was based in the north of England, far from the seats of power, and he too was regarded as an outsider by the gynecology community. They were the perfect pair as it would take a special chemistry to spark a medical revolution in a climate in which colleagues constantly poured water over them. One day their story will no doubt become one of those Hollywood movies that will make people who remember them and their times cringe to see the story crafted for the box office. A year after starting together, Bob and Patrick reported a breakthrough – they had fertilized human eggs in the Petri dish (or test-tube, if you prefer). It would take almost a decade of flip-flopping between Cambridge and Patrick’s hospital, with many disappointing results and hostility along the way, until the next breakthrough. That was when they were rewarded with the birth of the world’s first test-tube baby, Louise Brown. Back in the 1960s, few people took him seriously. He was regarded somewhat like a cranky Old Testament prophet, and the venom didn’t pour out until his research started to make traction. There were ghastly newspaper headlines demonizing the pair for creating human embryos in the lab. Being called Dr. Frankenstein was the least offensive. Perhaps hardest of all to bear was condemnation by so many in their own professions, as well as a good number of politicians, theologians, and even Nobel Prizewinners. After Louise’s birth, The Daily Mail ran the headline, “Baby of the Century”, and so the news echoed around the world. Had she been an unhealthy child, fertility treatment would be different today, but she was bonny and it seemed heartless to say an in vitro baby should never have been born. I joined Bob’s lab to study for a PhD in 1970 when his work was starting to heat up. I thought it would be cool studying embryos, although it would mean I had to sacrifice a love of animal behavior which I could have studied in another lab. That post was taken up later by an American in my college, Dian Fossey, who, as you probably know, went off to Rwanda to study gorillas in the misty mountains. A decision made at a fork in the road when aged 21 often has a lifelong impact. and I never again knew a happier workplace. Besides, we often felt happy to see the back of him to a conference or loading his station wagon for another trip to see Patrick. You would have to know Bob to understand what I mean, how maddening our beloved professor could be. Ideas poured out of him like newsprint from a press. When he proposed to us an exciting experiment, you feared that by the next morning the idea would be scrapped and he’d have a better one. I never encountered a more fertile scientific mind, and although most of his ideas were raw and forgettable, some were so precious that they have already been absorbed into mainstream medical practice or their implications are still being worked out. My first project was to test his brilliant theory about the cause of Down’s syndrome, which is so much more common in babies of older moms. I labored over it for several years but, never able to prove it, grew more skeptical. 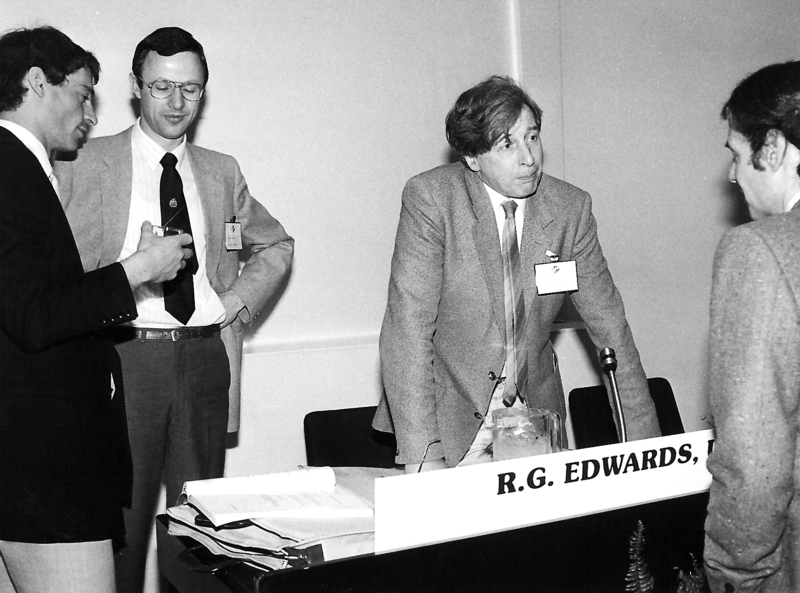 Long after I had left Cambridge, he continued to rib me, “Haven’t you proven my theory yet, Roger?” The supple balance between scientific seriousness and light-heartedness was so endearing. My wife, Lucinda, has fond recollections of his visits to Virginia when she was the embryologist for Drs. Howard and Georgeanna Jones’s team, which was the first in America to have an in vitro baby. One day she gave him a tour of the lab of which they were so proud and had taken great pains to maintain a sterile work area. Not wishing to be impressed too easily, he stretched up to the top of a tall incubator to wipe a minute film of dust on his finger, before grinning like a Cheshire cat. On another occasion when he was visiting my young family in Scotland, he took us out for dinner. After my boys turned up their noses at whole fish on the menu he ordered a plate piled high with whitebait, which he then started devouring, his eyes darting from one boy to the other to watch them wide-eyed with horror as he swallowed each little fish head-first. We cherish pictures of him sitting on the lawn at Bourn Hall in the middle of a crowd of children conceived by IVF. If he had any disappointment at the end I think it would be that his gift of fertility treatment was too expensive for low income couples to afford, especially in the U.S.A. It had made some doctors, and now the companies behind them, rich, which seemed to run against his socialist principles. That’s how he styled himself, but he was impossible to label. The last time I saw Bob and Ruth was over three years ago when I visited them at their mini-farm outside Cambridge with Kay, a doctor from Bourn Hall. His health had obviously deteriorated. Although Kay said he was having a good day, he seemed far-away, locked in an old memory or stewing over something. He showed us his honors and awards that completely covered the wall of a side room, then explained them in turn – Legion d’Honneur (France), C.B.E. (UK), Fellow of the Royal Society (London), honorary degrees (Cambridge, York, Wales, Belgium, Greece, Romania, etc. ), King Faisal Prize (Saudi Arabia), Lasker Award (USA), and many more that I can’t remember. But despite so many tributes I knew him well enough to see he was holding back a disappointment. We were sorry he was passed over for the 2007 Nobel Prize which was awarded for stem cell research, something that he was pioneering as long ago as the 1960s. It seemed that his chance had passed and, unless a call came from Stockholm soon, time would run out. Nobel Prizes are not awarded posthumously, so Patrick was already out of the running, having died the day he was due to receive a C.B.E. with Bob from the Queen at Buckingham Palace. We knew there was Vatican pressure on the Nobel Committee to stop an award for IVF, so it was with a mixture of surprise and delight when the following year Bob did indeed receive that call. He won the 2010 Nobel Prize for Physiology or Medicine, the highest scientific accolade he could be given, and one to savor as it finally vindicated his work. Sadly, he was too unwell to travel to Stockholm so one of his former students, now himself an emeritus Cambridge professor, accepted the Prize on his behalf. Two weeks ago in an obituary notice, the New York Times printed that Bob was “unable to appreciate the tribute”. I am delighted to correct the writer – he knew and celebrated it. A few weeks before he died, I attended a conference in his honor at his college, Churchill. 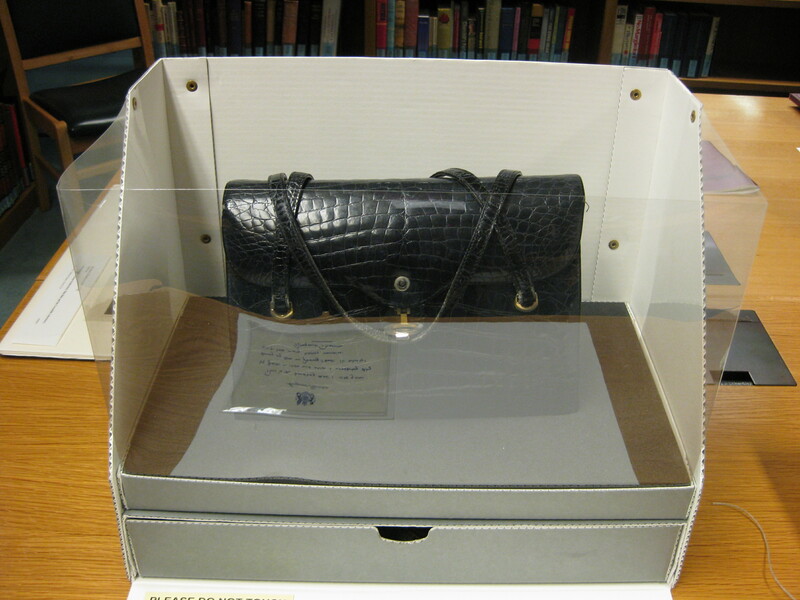 Displayed in a glass cabinet next to his papers was Margaret Thatcher’s famous handbag. Wags have told a story that the bag was full of iron weights for swinging at her liberal opponents or at conservative “wets”. Bob and Margaret were born and died within days of each other and, although from opposite political poles, they were both visionaries who drew immense loyalty and intense opposition in equal measure. The juxtaposition of their artifacts seemed odd until I recalled that she had never openly criticized IVF, as a good number of her party had, and, moreover, it was her government that had awarded his first public honor in 1988, albeit a ‘middling’ one. It would take another twenty years and the Nobel Prize before one of her successors as prime minister recommended him for a knighthood. But I guess he would still prefer to be remembered as just plain “Bob”, the family man who helped folks to have children. Deep peace of the gentle night to you …. This personal tribute to Bob was posted because copyright law prevents me from posting the obituary I authored in Nature or another I wrote for Fertility & Sterility with Dr. Howard Jones. Pdf copies are available by email after publication. This entry was posted in Memoir and tagged baby, Cambridge, eggs, embryology, fertility, genetics, IVF, Margaret Thatcher, medicine, Nobel Prize, ovary, Robert_Edwards, science, stem-cells. Bookmark the permalink.